Wow, hasn't time just flown right by? If you thought Althea'S Christmas Story was over and done with, we've got one more contest heading your way. This one is our last contest for the year on the blog, so you know it'll be one of our biggest! 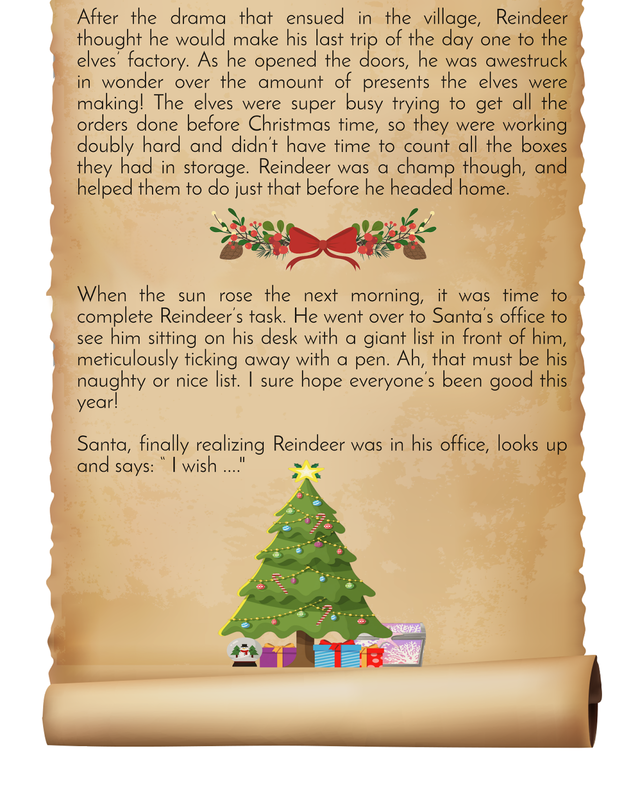 Follow Reindeer on his adventures on Althealand as he goes about helping his fellow Altheans, and see what he gets up to! A cliffhanger! Ah, maybe it's time for you to pick up your pens and create an ending. Become your very own author and help us complete the end of the story. Be as creative as you like, and seal the fate of all those in Althealand! Are you ready for the challenge? *Prize value converted to your currency with the conversion rate at the time of crediting. 1. 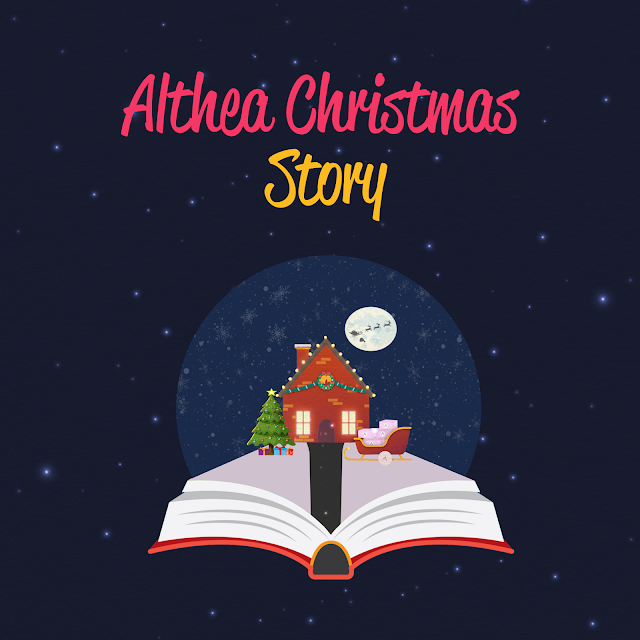 Continue the unfinished story above to complete Althea Christmas Story 2017 in the comment section below (no more than 100 words). 2. Remember to include your instagram username (eg: @altheakorea) in your answer. 3. Visit @altheakorea Instagram and leave a comment on this link with the same Instagram username to indicate that you have completed all the steps needed and tag 3 of your friends. 1. Contest open to Althea members on Malaysia, Singapore, Philippines, Thailand & US website. 2. Incomplete entries will be forfeited. Account must be public and giveaway accounts are not eligible to enter. 3. Judges decision is final. Winner(s) will be contacted via Instagram DM. 4. Prizes are not transferable or exchangeable for cash. In the event the prize is not available, Althea will replace it with an equal or appropriate prize. 5. Althea reserves the right to amend the terms & conditions set herein without prior notification. 6. 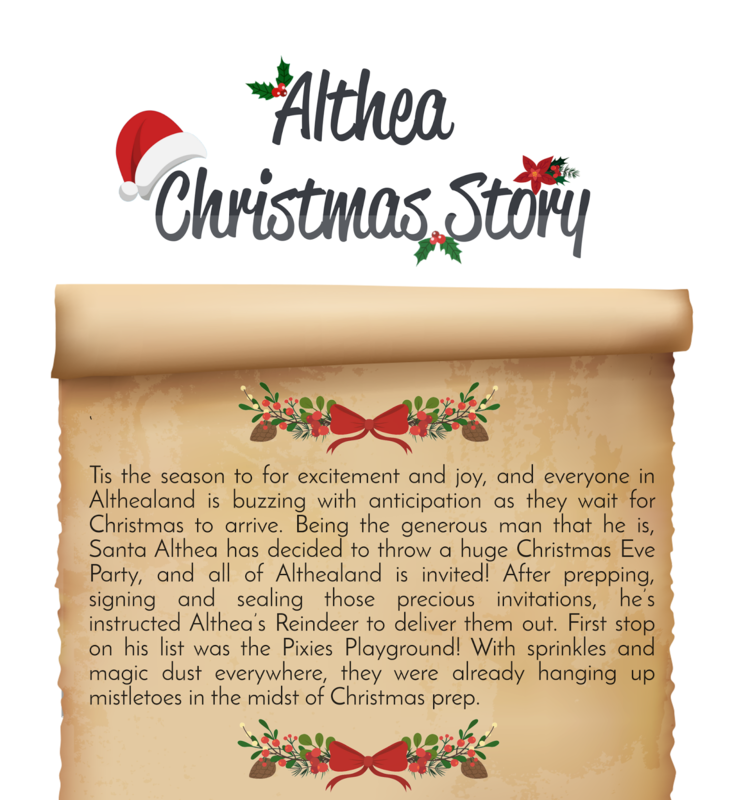 Each customer per account is eligible to win only one (1) prize during Althea Christmas Story event period. 7. This contest is not affiliated with Instagram. "I wish everybody would have a very merry christmas this year, I wish there will be no sorrow and each and everyone of us will be as happy as Santa 😊 I hope that every persons here will be filled with love and happiness, and thag they wont depend their joy by the gifts theyre going to receive, let us bear in mind that this is our Lord's birthday and not ours 💕💕 I wish that everyones heart will be as beautiful as their face, because beauty cannot be measured by how poreless your face is, not by how glam your eyeshadows are and absolutely not how red your lipsticks is. Its the beauty of the heart that matters most!" And so Santa's heart was overwhelmed and said "All your wish shall come true for it benefits not only you but all of us including me!❤❤❤"
"I wish you didn't just do what i told you to do - delivering the invitation." And the reindeer who finished the tasks, who also helps others with what they are doing, made Santa happy and the Althealand had the greatest and happiest Christmas ever. "I wish you didnt just do what i told you to do - sending out invitations." And the reindeer finished the tasks and help others with what they are doing and Santa is happy. And they had the greatest and happiest Christmas ever. I wish everyone in Althealand a joyous Christmas and a fun filled celebration. Full of hope, love and generosity for all. Also, I wish everyone will have a chance to open gifts on Christmas Day. That's the gift of contentment that no one else's could ever take. Happy Holidays Everyone! Merry Christmas Althealand. wish to safely deliver the presents in time for Christmas”. Reindeer’s nose glowed in red indicating that he’s fully energized and ready to accompany Santa. Althealand residents waved goodbyes to Santa and Reindeer as they swish in a speed of light to deliver the presents to Altheans worldwide. The dynamic duo came back to Althealand just in time for the party: Pixies did a flying dance number, Mermaid sang Christmas carols, Elves distributed gifts to everyone, Wizards wield an awesome fireworks show; and Santa and Reindeer brushed off tiredness with smiles in their faces. Althealand’s Christmas Eve was indeed magical. I wish Reindeer is as blissful as I am after knowing that he has helped me get my work easily done. As a way of giving my gratitude, I’d like to surprise Reindeer with a bunch of skin care products since he has lack of sleep and his skin is getting dry. 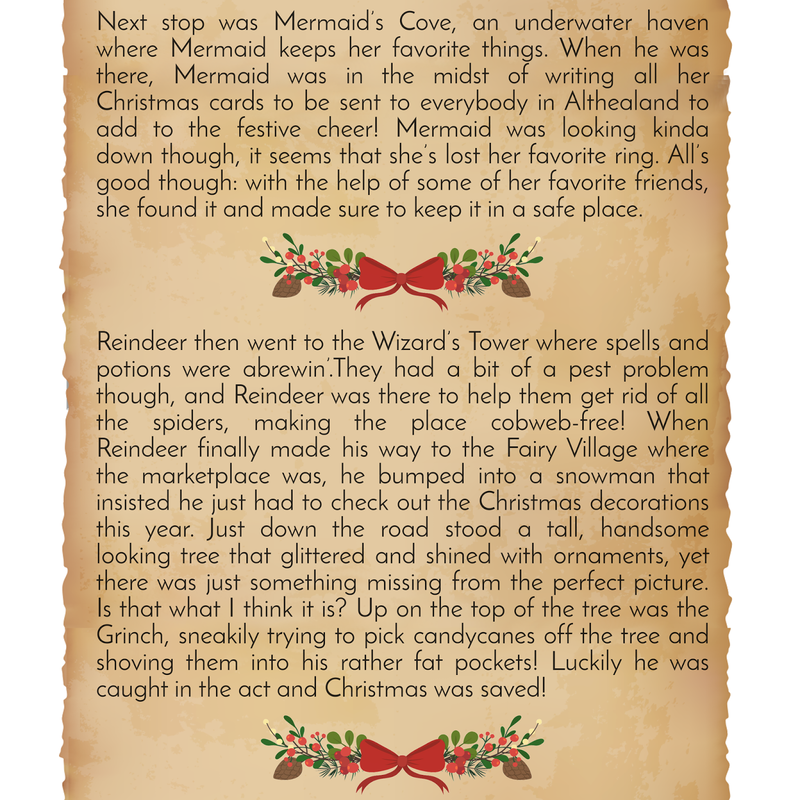 Maybe with the help of Mermaid, Wizards, and Elves, I’d ask them to help me prepare an Althea box for Reindeer that is full of relaxing and soothing products that would make his skin smooth and younger-looking. And by that, we’ll celebrate our Christmas Eve Party with love. Reindeer says, “I wish after all the hustle bustle and Christmas preparation, that Christmas is not about the glitter and festive music, or even the gifts. I’ve been going around Althea land helping everybody out, and I hope they see that what Christmas makes Christmas is the Spirit of Christmas where everyone loves and appreciates one another, giving and helping others without expecting anything in return. Bottomline is, Christmas is merry not because of the lights or the music, it’s happy and merry because it brings out the best in everyone. The reindeers help Santa Althea prepare and give the presents to the people in Althealand. And when the Christmas Day came, the people are very happy when they saw the gifts from Santa Althea and they open it together with their families.The End. I wish that all the people around the world will help each other even after the Christmas season. Every year is a blessing and the month of December is the season of giving, we can continue this act of gratitude all year long. Have a Merry Christmas everyone! And Santa said to reindeer "I wish to prepare all the gifts to be given this coming Christmas. Not just for the nice ones! I think the naughty ones need gifts too! They had a hard year." So reindeer gave the list to the elves. When Christmas eve came. Everyone was happy. Even the naughty thought the it was nice of Santa for including them in the list! The end. ... I can have Christmas holidays and presents too! I am being a good boy all along and always delivered presents and laughter to the people. " Reindeer felt sorry for Santa and he prayed that he could turn into Santa to replace him, so that Santa could have his holiday. And the Fairies heard his wish and turned him into a Santa for a day! The real Santa finally got his holiday and Reindeer was happily surrounded by good children and happiness and it was indeed a special experience for Reindeer! I wish that everyone in this althealand can enjoy this Christmas Season as this only happens once a year. Hmmm, you know reindeer we dont need this long list of names for the giving of gift as I will give everyone a present because it is Christmas! So reindeers gather up! We need to work double time and make every people in this land happy! I wish the entire Althealand could make it to our Christmas Eve party! It’s been so long since I’ve last met them, they’ve gone through so much ups and downs, It’s time to lift up their spirits and jolly! ...to thank all our friends in Althealand. They’ve been really busy with holiday preparations and I think we all deserve a well-earned break once everything is done. What do you think?” Santa asked. And with that, Althea’s Reindeer set off to the skies once again, excited to share the jolly news to all of Althealand. that everyone from the althea land would have the happiest Christmas ever! Remembering the true meaning of Christmas is showing our love for everyone and of course by remembering God in our hearts. By this, I would like you to send gifts to every part of althea land and a magic of sprinkle of love and happiness and by that we would have the best ever magical Christmas eve party in AltheaLand. This year is a success for Althea. I, Secret Santa is very proud for each of everyone who worked hard for Althea and I've seen you are all nice this year, I am giving you a magic spell of a fruitful & magical with a sprinkle of more success in Althea this 2019! I wish everyone has been good not just to receive a gift but because it’s their heart’s desire. But people must know that sharing is what Christmas is all about. Appreciate every gifts you receive; big or small, cheap or expensive. Have a Merry Christmas! The Reindeer reported that there’s something missing in the Tree, down the road in Fairy’s Village Market Place. Santa Althea then visited it “A Star at the Top of the Tree!”, he said. He immediately gather 5 Magical Items to wish for a STAR that was so bright to guide his fellow Altheans. all can look at their Best and make their skin soft all year long. I wish this christmas, every one will not forget the true purpose of christmas. Not just receiving but giving. I wish that people will realize that instead of asking for a blessing, why not BE THE blessing to everyone around you. I wish that people realize that simple acts can have a massive impact to someone's life. I wish that by being the foreman on giving love and rewarding goodness, people will do the same. "I wish Althealand will have a joyous Christmas this year." Thus, with the help of magical fairy, Santa, reindeer and the elves have their most magical and awesome time of the year. ....that most of all, aside from the material gifts we give each other, we should give everyone the feeling of love. For love is the most important thing the world needs right now to heal. We got to love, accept, and respect other. We are only what we've got. With love in our hearts, Everyday is a holiday! Then Santa stood,in his seat, petted his beloved raindeer, then opened the window and smiled. He said Hohoho... Merry Christmas! "I wish to apply Innisfree purple clay mask on your red nose, Reindeer! Follow by tea tree treatment spot. We gotta look doubly handsome when we are delivering out the happiness to dear Altheans!" I wish this Christmas �� that everyone of us would have a hapiest day of our life celebrating with our Family ��,Friends ������ and Lover��. Let's spread kindness, love�� and beautiful skin using Althea's Skincare Rockstar 2017 set ��to ease the stress that i've been through today. "I wish everyone would forget all their troubles and have a Merry Christmas tonight". Reindeer did not hesitate, he asked magical happy dusts from the pixies and went all over Althealand to spread the happiness to everyone, naughty or nice. Soon, Christmas Eve arrived and everyone were happy celebrating Christmas! Santa looked up at Reindeer and said, "I wish every year could be like this! Everyone on the list has been good and deserves a present. We'll have to work extra hard to deliver them in time!" Reindeer was also happy that everyone had been good so he didn't mind the extra work. He and Santa delivered all the gifts in time for Christmas, and when they got back, Reindeer, Santa, and all the elves got to celebrate Christmas with plenty of delicious food and of course, exchanging lovely presents! I wish all the presents could be delivered on on time and no one is missing from getting their presents. I wish all the presents could be delivered on time and no one is missing from receiving their presents, and hope everyone is having a fun Christmas day. "I wish everyone will have a Merry Christmas". The raindeer immediately went to the fairies and ask for happy dusts and sprinkled it all over Althealand. Christmas eve arrived and everyone is happy also because of Santa's party. I wish i can give @stacienoellechan a huge present for Christmas! She has been nice this year but due to some circumstances, she can't spend the holidays with her family. I wish I can make her happy by providing some of her favorite Althea skincare and makeup! "I wish i would realise sooner that you have been working hard just to make sure everyone has a wonderful Christmas. As to show my appreciation, you will get the first christmas present dear reeinder." "I wish I can bring happiness to each and everyone. Thank you so much to my loving mermaids, pixies, reindeers and elves for helping me every year. I also wish that I can live forever, so I can continue making people smile." Christmas Day came and Santa delivered all the gifts of love, little did he know that the elves prepared a gift for him too.. The elves throw a #THANKYOUFORTHELOVESANTA party. Each and everyone rejoice as Santa sings #GIVELOVEONCHRISTMASDAY. "I wish to share all your good deeds with the Althealand people during the Christmas Eve Party. This will inspire them and can make our nice list longer and will make our land full of love amd joy." Reindeer was also told that he was in the nice list as well. During the celebration, the Pixies Playground was showered with happiness and positivity. Everyone were thankful and hopeful. Everyone were excited to be better. Santa Althea was felt happy too. From then on, there was never a bad day in Althealand. .I could write my own wishlist and have it granted by the big guy up there. Oh and I would not ask for such gifts, but let me wish that every single one of us here may have so much love to give and life to share." He sighed and went on with his santa duties but the funny guy in him could not resist, "Or how about I ask for an ability to fly instead just so those bashers would stop it already with the animal cruelty issue? I mean, I'd do all the flying if I could!" And the wizard, for his spell to bind all gifts to any Althean’s heart’s desire. Finally, to complete the gift, the snowman and the Grinch gave the ‘essence’ of Christmas… And ta-dah! I wish everyone in the nice list can continue to do good deeds and spread love and positivity to everyone so that next year I will have only Nice List but no Naughthy List anymore. I can't wait to send all the presents to everyone and see their happy faces! Ho Ho Ho! Merry Christmas! Nevertheless, I must give Reindeer a very special gift for being so nice and helpful! "I'm glad I could grant all Altheans wishes this year, it's a joy to spread happiness to all I hold dear. Thank you good Reindeer for being hardworking and true, this Christmas would not be as bright if it weren't for you." With that Santa Althea brought out a big sparkling box, he gave it to Reindeer with a pair of Christmas socks. "Inside is everything you've wished for this year, thank you for helping me spread the holiday cheer! ".